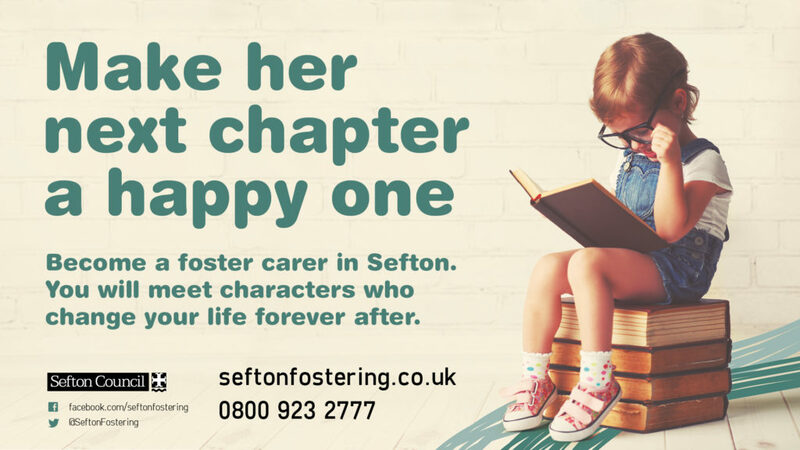 Sefton Council’s Fostering and Adoption Service is asking local residents to think of fostering this spring and make a huge difference to local children. Using the campaign strapline ‘Make their next chapter a happy one’ the local authority has launched a new fostering recruitment website to make the enquiry process easier and to tackle myths about fostering that can discourage potential foster carers. In Sefton there are approximately 400 children who are looked after, with a broad mix of carers providing them with loving, stable family lives, but there is still a need for more carers from a wide range of backgrounds to join the service. Recruiting new foster carers will mean that the local authority can better support hard to place children, such as older children, teenagers and sibling groups. Cllr John Joseph Kelly, Cabinet Member for Children, Schools and Safeguarding, said: “I want anyone who thinks that they cannot foster children to think again and make an enquiry that will profoundly change both their life and that of local children for the better. “People often think that they will not be approved if they apply to become foster carers. It does not matter if you are married, single, LGBT, straight, older or rent your home, what does matter is that you have room in your home and the time, compassion and energy to dedicate to children who need those qualities more than most. Maria Spatuzzi, Team Manager at Sefton’s Fostering Service, said: “Our team here at Sefton has a saying along the lines that no-one goes it alone when fostering with us. We help you every step of the way, from your first enquiry through to approving you as a foster carer and beyond. “You will receive round the clock support from a dedicated social worker, excellent training and a competitive financial package. As a local authority fostering agency, we are the best equipped to make sure that once approved, you will not have to wait for placements and build your career as a foster carer.